The Monday Group was created in 1961. In that year a few residents of Ditchling village in East Sussex formed the Ditchling Footpaths Society. Its objectives were to open up and preserve the footpath network around Ditchling, especially those leading to the downs. Many footpaths had been closed by the military during the Second World War and had not been reopened, and it wasn’t in the farmers’ interest to do so. All of the Society at this stage, except Harold Rowling (then chairman and still chairman to this day), were women, many of whom offered that their husbands help with some of the heavier work. After none of them turned up, Harold recruited a couple of people who were not members of the Footpaths Society but who were keen to help with building stiles. Three men worked on Sundays for several years. After a time Reg Adsett moved into the district, became the village postman, and joined the working group. When Harold retired from full-time work in 1982 there was still a great deal of work to be done and Reg agreed to work with Harold regularly and without fail every Monday. Because they were relatively young and very energetic the Monday Group managed to get an enormous amount of work done, often installing two stiles in one day. The early stiles were simple and traditional. Compared with the stiles that the Group make now some of them were somewhat unsatisfactory, smaller in size and, although not too difficult to negotiate, not as good as later stiles proved to be. Those were the days of the Mark 1 stile. Over several years Harold, an engineer by profession, began to change the design of the stiles. The Mark 1 stile progressed to the Mark 6 stile which remained the standard for some years – a traditional stile with one side post higher than the other with one or two treads either side, depending on the profile of the ground. From about 1984 the Group’s recognition gained wider publicity. An article in the Ramblers Association journal led to a couple of television features. As the work of the Group became recognised, others sought out the Group to volunteer their services. From about 1986 the number of volunteers grew and output increased. Mainly through Reg Adsett, funding also increased to match the extra materials that were needed. No other groups or public authorities were doing the same kind of work at that time so it was much appreciated by the walking public. The Monday Group eventually gained recognition from East Sussex County Council which began to give the Monday Group an annual grant – this ceased in 2011 and we are now entirely self-funded. By 1989 the Group’s numbers had swollen to about 15 working members. Along the way more women started volunteering to do clearance work, particularly after the great storm of 1987 which caused fallen trees to block many public footpaths and bridleways. Without any formality a separate and complementary clearance team started. This proved to be very beneficial because it meant that important clearance work could continue alongside the construction work. Today the Monday Group works independently of the Footpaths Society but is still associated with it and the Monday Group reports annually to the Society on the work programme. 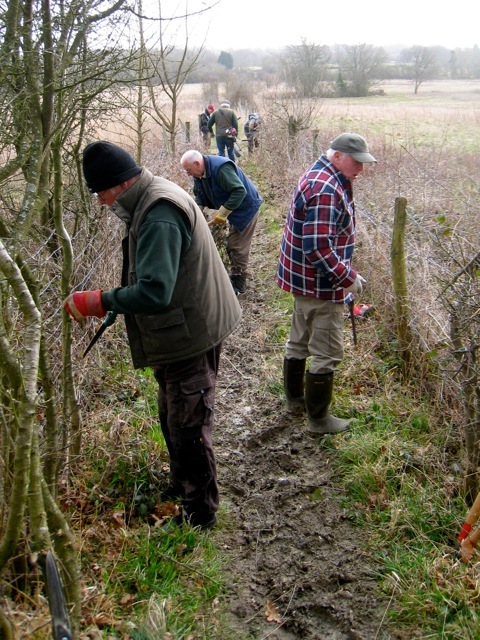 In late 2010 the Monday Group numbers 31 volunteers – 16 in the East Sussex clearance group, 10 in the East Sussex structure-building group and 5 in the West Sussex clearance/structure-building group. 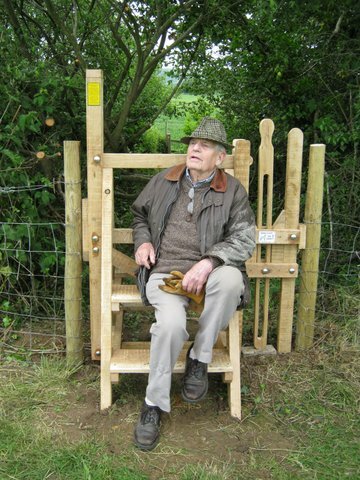 Created by local artist and Monday Group member Tom Walker, The Stile Book contains numerous colour photographs revealing the range, quality, craftsmanship and ingenuity of the Group’s oak structures – over 1,000 stiles alone since 1961! 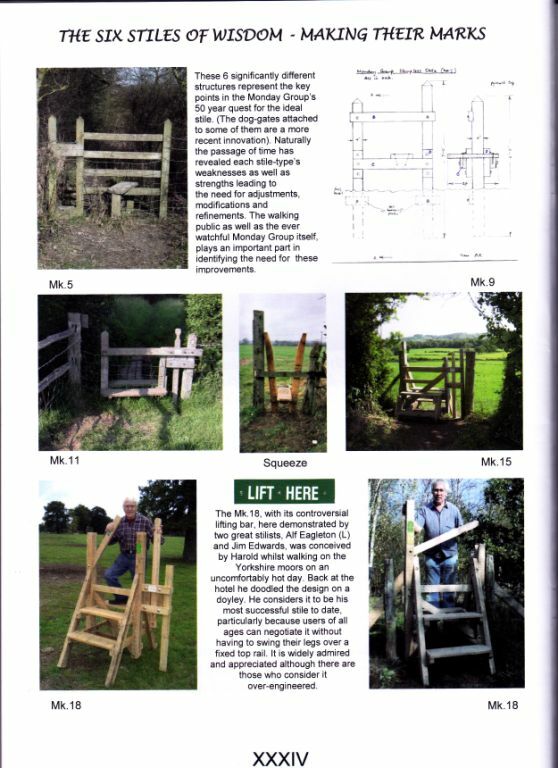 To find out how and to order your copy of The Stile Book for £9.50 please contact us. All proceeds from sales go towards the Monday Group's work.